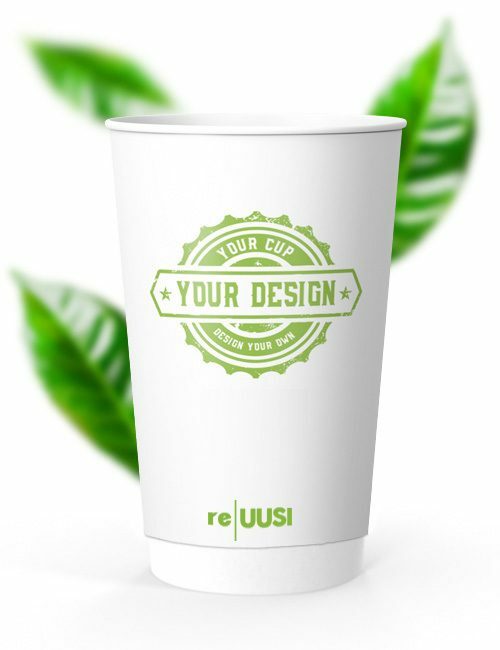 Double Wall re|UUSI® recyclable paper cups perform just the same as a regular paper cups – but can be processed by regular paper processing plants and reused again. 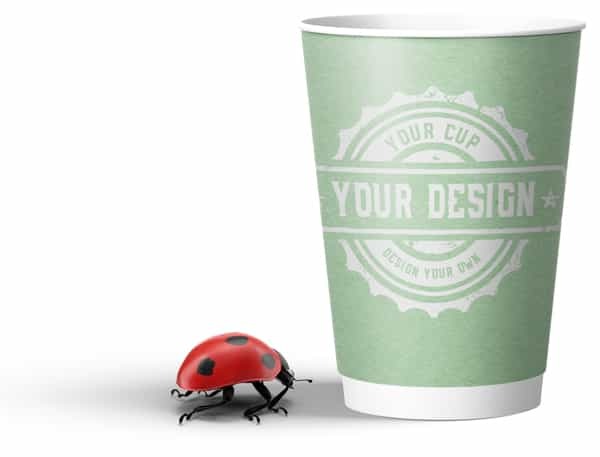 Separate layers of board create an isolation gap that keeps the hottest drinks hot and the coldest servings cold – and your hands at the perfect temperature. 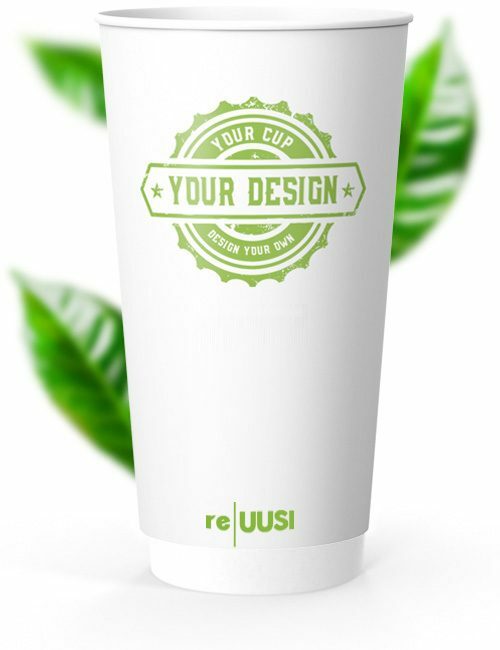 Double Wall cups also eliminate the needs for sleeves – so your cups stay as the perfect canvas to promote your brand in hands. 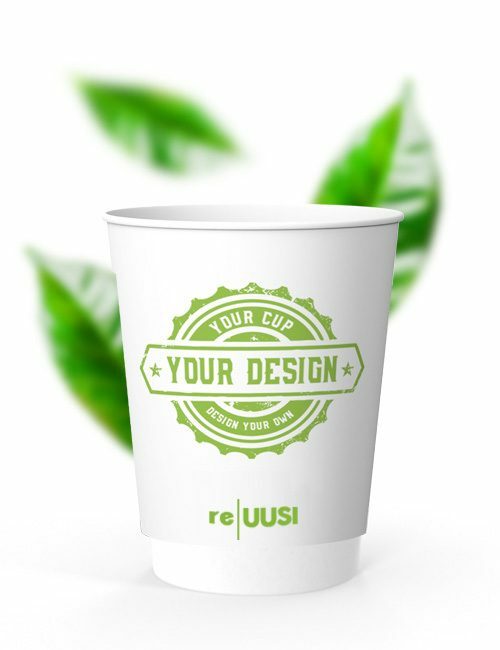 re|UUSI® models from CupPrint can also be purchased in the same high quality, high resolution, custom printed formats as regular paper cups. All with the usual low order minimums (only 1000 pcs Min. order) and fast, 15-day turnaround. 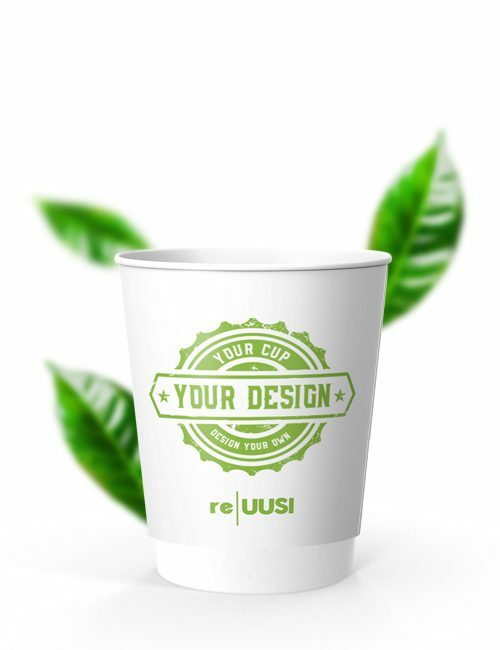 The re|UUSI® has successfully obtained numerous industry standard recycling certifications as well as approval for all materials and inks being food safe and odorless.